The inaugural Women's Health Live Festival will be held at The Wanderers Sports Club in Johannesburg from 10-11 November 2018. The two stages will be supported by speakers, panel conversations, and interviews led by Women's Health editors. The editors will converse with previous cover stars, fit family, social influencers, and experts who will be sharing stories, experiences, expertise, and knowledge. The lineup includes Mapule Ndhlovu, Takkies, PopUp Gym’s Letshego Zulu, several beauty experts, and the Adidas performance team. Food editor Amy Hoppy will share what to eat at your desk for a healthy work hour lunch, while Fry’s Foods will show how to eat better in 2019. Author Sam Beckbessinger will offer advice on how to manage your money better. Actress Amanda du-Pont might let you in how to be as glowy and super fabulous as Amanda du-Pont. The festival is set to coincide with the magazine’s 100th edition. The 100th issue - aligned content hub at WomensHealthSA.co.za – will unveil the WH Hot 100 2019, which profiles local game changers who will be included in the speaker lineup. The lineup will be supported by beauty pop-up bars – like the ghd braids bar where the fitness trend for braided hair for a workout will see the stylists braiding hair free of charge as well as hosting tutorials on how to do everything from a boxer braid to a fishtail. Beauty brands will be dishing makeovers and advice, while the fashion market will see a summer pop-up selling local labels across swimwear, kaftans, hats, and cover-ups, as well as a leggings bar and a Christmas pop-up with amazing local gift ideas from jewellery to stationery. The stages will host the speakers and workshops as well as fitness classes. Mapule and Takkies, Caralishious, and Inge Bezuidenhout will take the crowd through a sweat session. Maps with her legendary high impact workout, Takkies for her Rockinheels routine, Cara will be practising yoga, and Inge will be kicking off a kickboxing sesh. 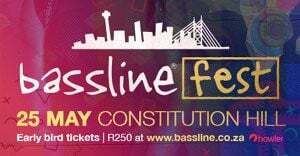 Tickets are on sale at Quicket.co.za.